Where Does this Professional Journey Lead Me? CISML Africa is the International Professional Affiliate (IPA) of Chartered Institute of Strategic Managers and Leaders, authorised to conduct all the professional activities of CISML in Africa in co-operation with Strategic Business School, CISML Accredited Qualifying Institution. 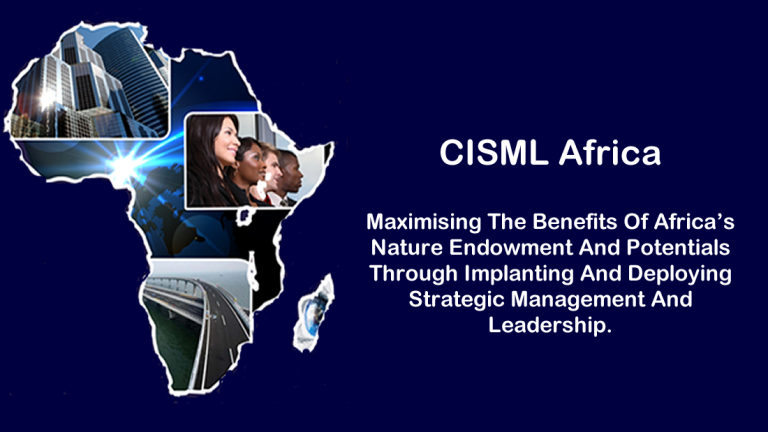 CISML Africa is a Strategic Business Unit, and therefore has reasonable independent governance and operations, subject to the overall direction, goals, policies and standards set up by the establishing laws, operating and admission agreements and governance of CISML. All Qualifications,Awards and Licences are prepared,issued and sealed by CISML Global Secretariat and signed by two members of the Global Council. 19, Sylvia Crescent By Anthony Bustop, Anthony Village Lagos Nigeria.